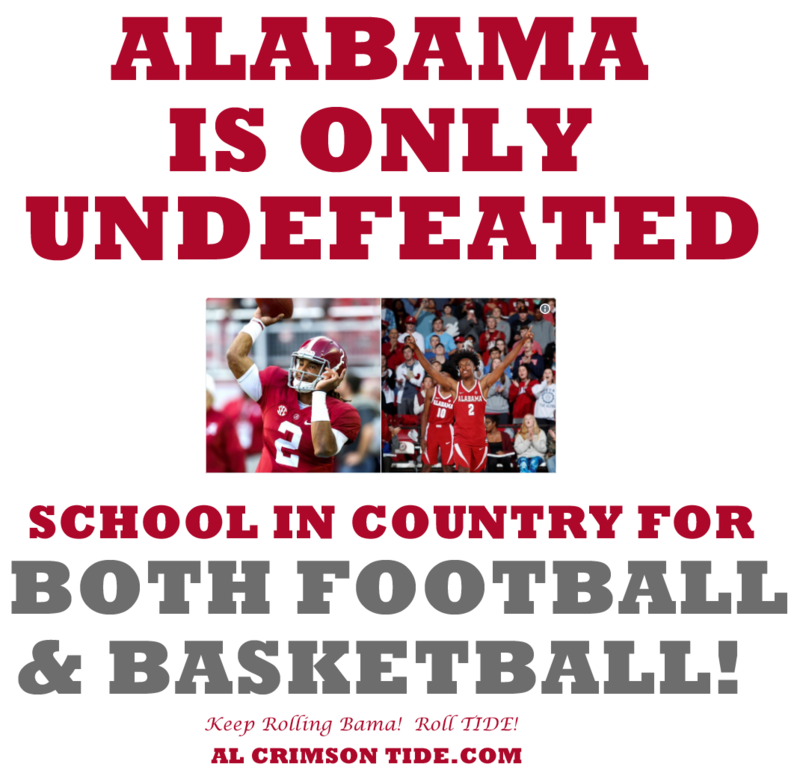 Alabama is the only school in the country that is currently undefeated in football (11-0) and basketball (5-0)! Let's keep the Ball Rolling Bama! Give a shout out on Facebook if you think this will keep going?